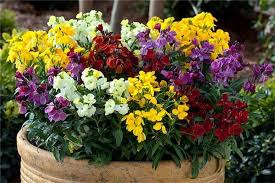 Quality, field-grown bare-rooted Wallflower plants are currently available. Choose from the dwarf ‘Harlequin Mixed’ or the taller ‘Persian Carpet’. Both sold in bundles of 10.